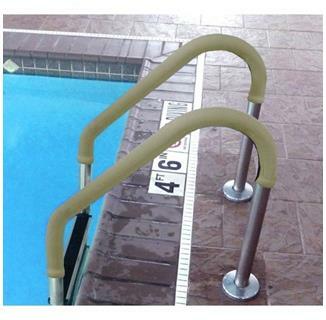 Grip for Pool Handrails - Tan. Prevent Slips and Burns with these Tan handrail Grips! FREE SHIPPING! 6-ft, 8-ft, 10-ft grips fit 1.9-in diameter (standard) rails. Handrails can get slippery from oils and hot from the intense sunlight. 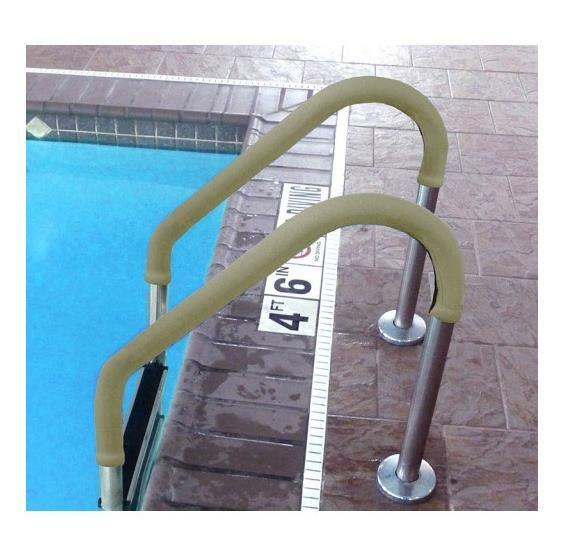 These soft neoprene handrail covers provide a secure grip for entering and exiting the pool. They stay much cooler than bare rails to prevent hands from burning from the intense sun on metal. No need to remove your handrail either; simply zip in place.